Case Studies | Acuset - Investors Website | YoungShand. 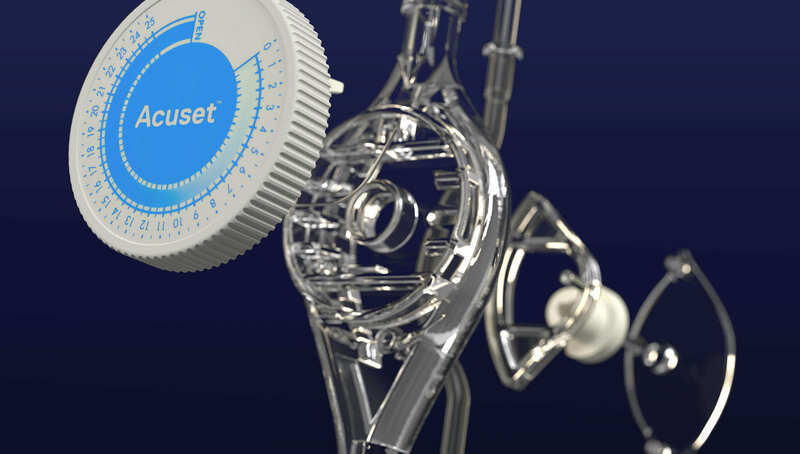 Acuset IV Flow Controller is a patented IV infusion technology co-developed by Sir Ray Avery and AIS Technologies Ltd. It delivers unprecedented levels of accuracy for a mechanical, non-digital IV infusion device and has the power to change the global medical landscape and save millions of lives — but not without investment. Our task was to design and build a website with potential investors in mind. As most of the investors were not medical professionals, we needed to tell the product story in simple-to-follow, engaging way. Not only did we use language that was easy for investors to understand, we created a 3D animation of the Acuset system technology, which activated as investors scrolled over the illustration. 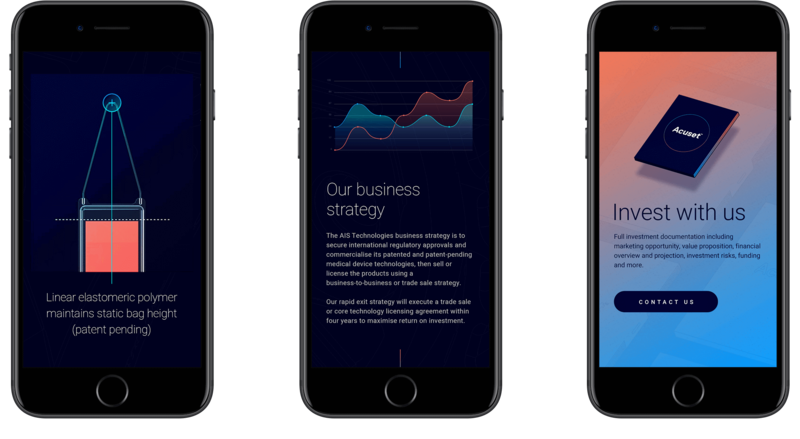 The animation showcases exactly how the technology works, and at the same time, gives investors the information they want and need to be able to make an informed decision — increasing their likelihood to invest. 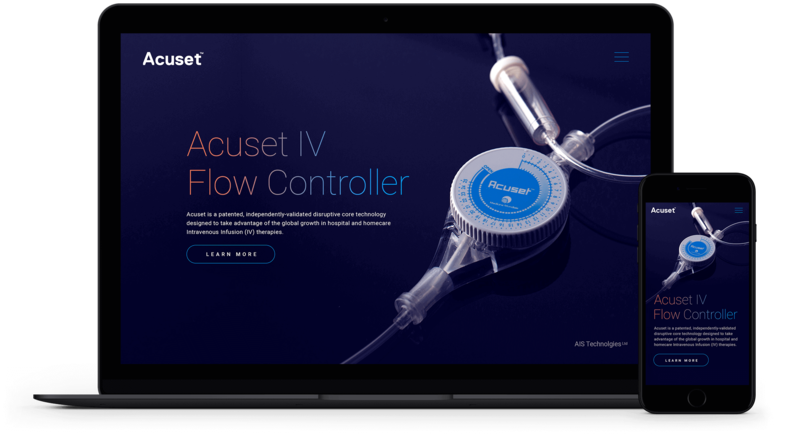 If investment goals are reached, Acuset IV Flow Controller will be on track to not only save lives, but drastically improve the quality of clinical care in both first and developing world countries. How do you show people that 2degrees business plans work in Aussie like they do in NZ? Take them there on their lunch break.